Like the questions concerning losing the weight and getting rid of the cellulitis, the problem of the tan remains always actual regardless of how many articles have been written in the fashion magazines. However, we often have doubts even about the most famous facts about the tan and look for the magical means that can help to cheat the nature. Let’s get to the bottom of how to sunbathe properly, what we should know about the tan and what we should forget once and forever. Many film and fashion starts start refusing to sunbathe judging it to be dangerous. Just several years ago a bronze shade of the skin was really popular, but today more and more people use a great number of sun protective creams with powerful SPF. What do the doctors say? Is the sunbathing useful? Any good doctor would tell you that the sun, as well as most things in our lives, is helpful to the extent. Likewise, the wine is useful, but abusing it has the negative results. It is strictly forbidden to take the sun bathes for those people who had oncology or are in the danger group. All other people really need vitamin D – even the newborns, but in the smallest dose. Besides, we all should know the simple recipes for obtaining a nice Australian gold tan that can make the sunbathing process pleasant and safe. So how to sunbathe properly? Everyone should use the sunscreen cosmetics. Besides, use the creams with antioxidants. Wear the sunglasses to protect the eyes. Caps and hats will protect from the sunstroke. Stay under the sun during the “safe hours”: till 11 a.m. and after 4 p.m. Even on the beach, it’s better to sunbathe under the sunshade. Moisture your skin with creams every day. Drink a lot of water and eat fresh fruits and vegetables. This typology is rather conventional, but regardless of its simplicity it usually works. People with light skin, disposed to sunspots, with light-colored eyes, red or fair hair usually belong to the first group. Their skin becomes red after some time under the sun as it can’t protect itself. Maximum they can do – use the sun protective products with SPF 50+. These people are recommended to stay under the sun either early in the morning or in the evening, apply a lot of sun creams and don’t even try to sunbathe the same way as dark-complexioned people do. Other owners of the light skin belong to the second group, although their skin is not so capricious. They usually have light-colored eyes and their weak spots are noses and shoulders. If to use sun protective creams and not to sunbase under the direct sunlight, they can get a light tan. The third group is represented by people with olive skin and chestnut hair. Their skin can become sunburned, but in case of following the basic rules, it may obtain a wonderful golden shade. These people can hardly have extremely bronze skin, but with SPF 50 in the day hours and SPF 30 – in the morning they can allow themselves an hour of active sunbathing per day. The fourth group unites hazel-eyed black hair people with dark skin. They rarely become sunburned, get smooth, beautiful and nice tan. They often forget to use sun protective creams, although it’s not safe as besides the tan for which UV-A and B rays are responsible, the sun also radiates C rays which effect is similar to X-ray. People with very dark skin like inhabitants of Africa and South America belong to the fifth group. They get the tan “automatically” and nature protects them from sunburns. For safe sunbathing, the dermatologists recommend using the creams with the minimal level of protection. An important recommendation for all five groups when using Australian gold lotion is a proper care after the sunbathing. It is recommended to use moisturizing and smoothing products as the skin becomes inclined to sloughing. In the case of sunburns, one should use panthenol and various cooling gels or sprays with aloe vera. The main rule of safe sunbathing with Australian gold bronzers not to hurry. Fast sunbathing is impossible without the risk of sunburn, especially if the skin is not prepared. For fulfilling photobiological reaction of the body the time is needed. If the skin receives too much UV-rays, it will cause only one reaction – reddening, dryness, temperature and following skin sloughing. The sun radiates the rays in various diapasons. The dangerous effect is produced by ultraviolet that is divided into three types: UVA, UVB и UVC. Rays C are dangerous for the human body, but they are completely absorbed by the planet atmosphere. Rays B reach the surface but in the amount of no more than 5%. The base of all the ultraviolet radiation, influencing the human skin, represent rays A (95% of all the rays). They cause the appearance of the tan, but after the long staying under the sun, it may lead to the negative results: hypersensitivity, sunburns, cell mutations, and oncology. Those who love sunbathing but don’t use sun protective creams face the loss of skin elasticity, fast aging, and appearance of the wrinkles. Dermatologists strongly insist to use the sun protective creams while staying under the sun. It will help to avoid the sunburns and prevent the photoaging of the skin. The products do not interfere with the bronze tan. The principle of action of any sun protective cream is based on the neutralization of the influence of A and B rays. The creams create effective UV-filters, prevent the dangerous rays from penetrating the deeper layers of the skin, lower the risk of sunburns and oncology, chemically turn the light energy into the heating energy. The useful effect depends on the kind of the cream, its components and other peculiarities. The first point we pay attention to is the SPF index (it ranges between 4-50). It identifies the level of protection from dangerous radiation and how long the person can sunbathe. There are two main types of the creams. The first group is screening products. When applying such a cream, the person has a kind of the tape on his or her skin which main task is to protect the skin from ultraviolet radiation. Such creams protect from A rays. They are considered the most dangerous. However, they are absorbed into the skin and may cause allergic reactions. The second type is blocking creams. They are not absorbed into the skin, do not cause allergic reactions and cope well with A and B rays. Another popular type is the cream with waterproof effect. It will come in handy for all those people who plan to spend time near the seaside. It has such the components thanks to which it can’t be washed from the skin that is why this cream provides a good protection. There is also a mixed type. Such a cream, besides the main components, contains various extractions of the herbs, for example, aloe, edelweiss, green tea or some vitamins. While selecting it’s very important to take into consideration the skin type. Otherwise, the effect of Australian gold accelerator will be minimal. Other parameters are the level of protection from UV-rays, physical and chemical filters, waterproof effect, consistency, additional components for moisturizing and strengthening. People with light skin should choose the creams with SPF no less than 30. Physical and chemical filters protect from certain kinds of the UV-rays. For this sake, it’s necessary to check the weather in the region where the UV index is indicated. On the package, it is also usually indicated the type of protection from radiation: UVA and/or UVB. In this case, there should also be the marking IPD, PA+. PPD. Helpful additional components include vitamins A, B, C, F etc. They strengthen and moisturize the skin and also perform the antioxidant effect. The undesired components are alcohol, parabens, oxybenzone etc. The important parameter is the waterproof effect. Even if the person doesn’t plan swimming, he or she may sweat. Good waterproof effect guarantees the long-lasting result, otherwise, the result will disappear in 15-20 minutes. Dermatologists warn that such products influence the skin a lot. That is why they should pass a thorough clinical examination. Primarily, it concerns the hypoallergenicity. 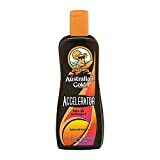 Australian gold introduces a series of stunning lotions for a gaining a quick and even tan under any conditions. The options among which people are capable to choose from are designated for various situations. Here is a brief introduction to the most popular Australian gold indoor tanning lotion categories which are available on the market. First-time tanner. This group of tanning fluids is designed for those people who are just getting started with their sun procedures and which to have a nice bronzing without fear to get burned in the first days of staying under the UV rays. Base builders. This is a special group of lotions that nourishes the skin and prepares it for getting tanned. The sun rays won’t be a surprise for such skin and it will be fully equipped for becoming more chocolate. Event tanners. They are great for people who wish to get their tan but they are out on a short journey and are not sure if that will be enough for getting a nice color of the skin. The options are rapidly consuming the sun and stick it to the skin to make it look gorgeous. Plateau breakers. Sometimes it might seem that a person’s skin is at its limit and can’t become darker, regardless of the time that is spent on tanning procedures. With this group of tanning lotions, you will see that everything is possible and dark can become even darker. Tan extenders. This is a special type of tanning lotion that does not only helps the skin to catch the tan but additionally keeps it on the skin for a longer time for a perfect image. Continue reading the article to find best Australian gold indoor tanning lotion solutions which anyone can get for an ultimate tan. Now let’s take a look at the best tanning lotions in each category. This Australian gold lotion is one of the best solutions for fast and effective tanning. The manufacturer perfectly understands the importance of the skin’s health and tries to meet the expectations of the clients. It belongs to a category of accelerators which greatly enhance the speed of the tanning. It is a powerful tan accelerator. It smells like burnt oranges. If it is not spread with an even layer, the tan won’t be even. This lotion introduces a popular well tested by time formula. It offers immediate tanning through powerful darkening extract. It performs the most import function of tanning lotion as well – defense against the attacks of sun rays. The resulting tan will look natural and radiate with illumination. It offers a nice gold chocolate hue. Grants healthy glow of the skin. Smells with a pleasant chocolate. Perfect for the tanning bed. It is not applicable for fair skinned people. This is a great choice for people who wish to look amazing with a nice tan. It can be utilized anywhere and it is filled with vitamins to nourish the skin effectively. Additional moisturizer makes it possible to keep the skin well-protected and healthy. Finally, it is applicable for both indoor and outdoor tanning. The cocoa smell makes it one of the most popular tan accelerators. It greatly increases the tanning speed. The vitamin complex makes the lotion twice as useful. The lotion is somewhat runny. This accelerator creates an amazing look after several tanning procedures. It greatly enhances the speed of tanning. The fluid is evenly dispensed through the spray and covers the whole body granting it the most perfect tan. A gel basis of the lotion and natural ingredients make an item one of the top in the category of accelerators. It doesn’t leave grease streaks. The lotion preserves the clothes clean. This tanning solution is just the right thing that is necessary for a skin that wants a nice and healthy tan. It does not only nourish the skin but also presents a strong softening effect. The bronzing with this substance can turn into a real pleasure as it leaves the skin breathing without stretching it. A combined moisturizing and tanning effect generates an amazing appearance. It has a nice smell of a strawberry cake. It has a combinable effect of lotion and tanner. There are no bronzing elements and it is more for a starter tanning. Now dark can become darker. 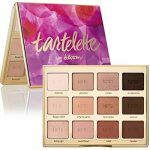 This amazing bronzer is a perfect choice for those people who want to experience the darkest hues of the skin. It has got extra powerful natural pigments which are catching the sun adding the skin a pleasant dark chocolate color. Hemp seeds and a set of vitamins make it possible to constantly nourish the skin and preserve its softness. Has a nice non-repulsive smell. The result is visible after three days. It is applicable for regular and rare tanners. There are rare cases of allergy to the substance. You can’t constantly use it. This bronzer tanner can boast with 15x tanning speed enhancement. The use of natural ingredients like walnut and caramel make it feel so nice during wearing. The organic oils which are part of the formula make the skin extra moistened and nourished. The consistency of the lotion is perfect for extra rapid delivery of the substance to the skin. It generates a perfect extra dark tone. The cream can be itchy. Some people experience slight irritation during the first days of use. Need to take shower after tanning. Everybody wishes to have a nice bronze skin at the end of the summer to preserve a particle of summer for many months afterward. If you are afraid to stay under the rays of the sun for a long time, this cream will shorten the time of sunbathing to a minimum. It contributes to the formation of a healthy tan that will look natural and organic without some fake orange hue. It has a fully organic formula. It is shipped in a big bottle. A patented formula is developed for maximal effect. The lotion might be streaky. It can make the skin dry. If you are willing to have the look as if you have just left the beach with a fiery tan, there is no need to walk far away. This potent mixture of bronzing ingredients will show you that it is possible to get an instant tan with bronze radiance. 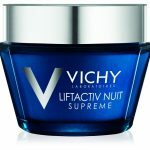 The formula penetrates deep into the skin, protecting it and preserving the silkiness and freshness. It nourishes the skin effectively. It protects the tattoos from fading away. It generates extra dark color. It has a really strong aroma. Most effective in tanning tube. This bronzer was specifically designed for tanning beds in order to gain a nice and fast tan within the shortest period of time. The fluid is a patented formula which covers the layer with a breathable film. It is like a huge magnet for solar beams and it makes the skin to produce the cells which are responsible for the rapid and dark tan. It is a good lotion for a basic tan. It generates a nice and natural tan. A very dense formula makes it hard to spread the lotion all over the body. Works more effectively with a more powerful sunbed. Here is another popular tan enhancer that will make you look divine. The complex is a concentration of DHA, avocado, shea and caffeine oil for achieving the maximum visible effect. Additionally, it can boast with skin rejuvenating complexes on the basis of bee wax and vitamins that conceal scars and makes the skin more shining. It doesn’t stain the clothes. The formula is great for a natural tanned look. A special formula conceals scars and restores tattoo color on the body. It does not work well with people who have a dark complexion. The tan will occasionally fade away but there is still a possibility to preserve it for a longer time by means of the introduced tan extender. All the natural ingredients like hemp, jojoba and shea butter effectively support the skin and it stays bronzy for many days. A set of organic proteins protects the skin from the solar impact and helps to avoid photoaging that mainly caused by frequent sunbathing. A rich complex extends the tan duration period in two times. You need to use a lot of fluid to cover the entire body. Here we have a lovely after tanning moisturizer that will preserve the tan for a long time. A special formula introduces numerous antioxidants which will actively fulfill nourishing and defensive function of the skin. The natural ingredients of Goji and Acai berries are well known anti-aging substances which are capable to postpone the first aging signs. Extra anti-aging infusion is added. Strong fixation of tan by means of antioxidants. Can be easily washed away with water. It is really sad that tan can’t last forever. But with this moisturizer, you will greatly enjoy the tan for as long as possible. A special formula sticks the tan to the skin without tan peeling off. The action of the moisturizer lasts for 24 hours making it really easy in application. Additionally, the elements of the cream protect the skin from aging that is caused by the sun. It introduces a nice vanilla smell. The lotion has a fast absorption rate. Nice vanilla smell compliments the skin a lot.